Up and down our alley you can harvest a smorgestboard of raspberries. Love urban forging. Our neighbors are ever so generous! My daughter Ava who’s 11 yrs. 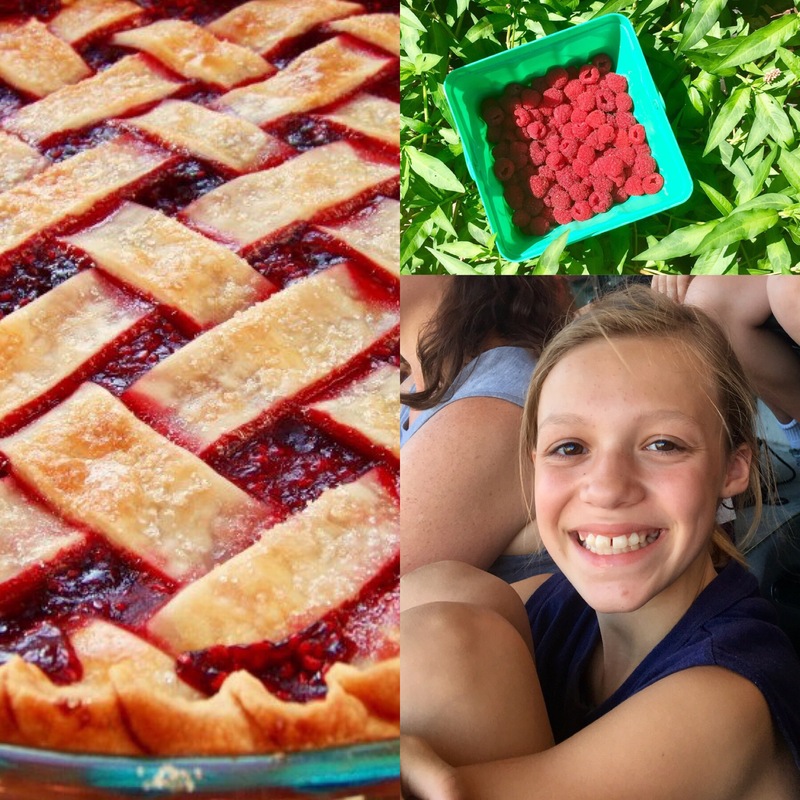 old used her raspberries she picked to make a pie. Pour the filling into the shell and then prepare the top of the pie by cutting the other dough round into long 1 inch wide strips, and then arrange it in a lattice pattern. Cut the excess dough and crimp the edges. Bake the pie at 400 degrees for 45-55 minutes, or until the crust is golden brown. Let the pie cool before cutting into it, and enjoy!